This month, Ella Health has been celebrating healthy moms. 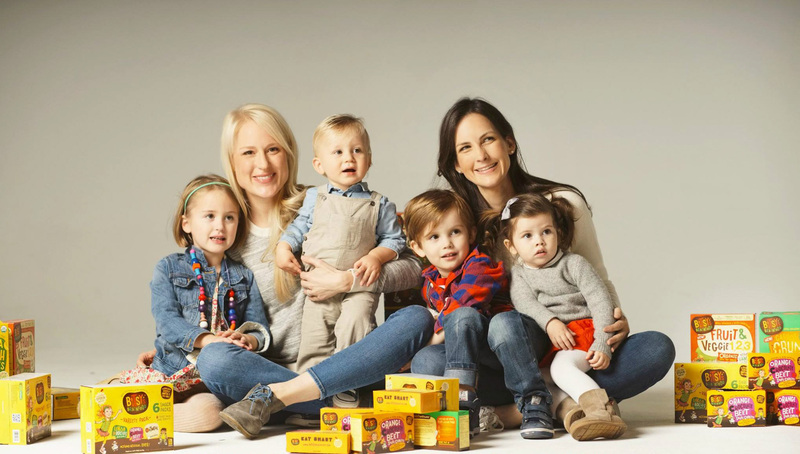 We talked recently with two moms who have turned their quest for keeping their own kids healthy into a business to help other moms. For years, moms have been hiding the healthy stuff hoping to get it into their kids. Grind up the broccoli and mix it with the meatloaf. Slip some applesauce into the cake instead of oil. Cover the celery with peanut butter and call it a log. Healthy food maker Bitsy’s Brainfood has taken a completely different approach. Instead of disguising fruits and veggies, the company’s products boast about what’s in them like Sweet Potato Oatmeal Raisin cookies and Carrot Raisin Crunch cereal. Alexandra founded Bitsy’s Brainfood with Margaret Jones Patton. They’d worked on non-profit programs together aimed at reducing childhood obesity. As moms with a strong interest in food, launching a company to promote healthy eating on a larger scale was a good fit. Although the market is more open to healthy foods, it’s has still been a long process, Alexandra said. It was easy to pitch the concept to health food stores, but it took more convincing with conventional retailers. “Just as parents think that their kids won’t eat it if they know what’s in it, sometimes the store buyers think that consumers won’t be interested,” Alexandra said. But the taste and growing popularity helped them get into larger stores including Target. Some kids hesitate when they see ingredients like beets and zucchini in their cookies, but for the most part they’re willing to at least try it. “Once they taste it, they get it,” Alexandra said.